The city has posted an maximum occupant load sign on the door to the mayors office meaning no more press conferences in the tight space. Cllr Mary Margaret McMahon demands to know who was taking video of the audience on the mayor's behalf. A large crowd of staff now gathered around the mayor's driver, who was taking the video. City hall security, mayor's staff, councillors. 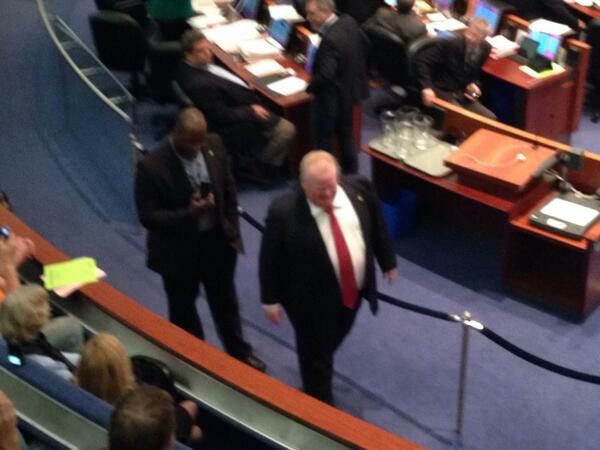 It looks like city hall security just took away the lanyard/ID badge belonging to the Mayor's driver. "you're a disgrace!" 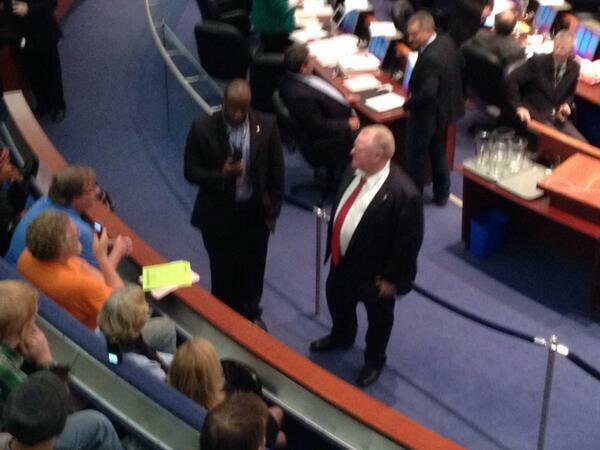 Councillor Doug Ford shouted at citizens in the gallery, earlier. "it's basically been sickening for me" says Councillor Mike Del Grande of recent weeks. Mammoliti wants deferral of item until independent medical assessment of mayor is complete.